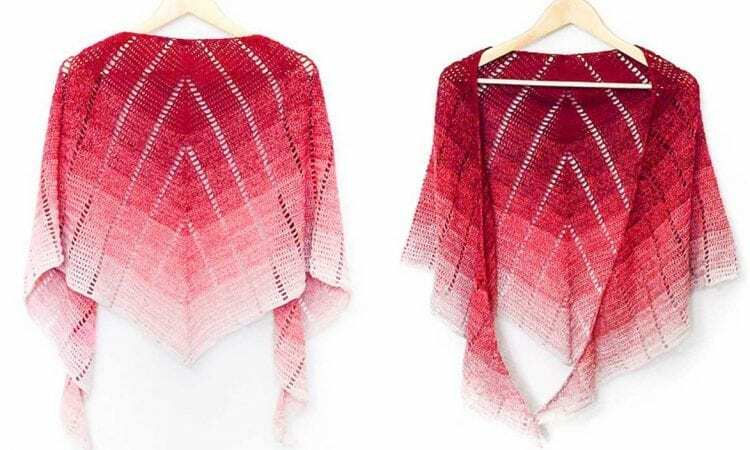 The Raspberry Croissant Shawl is a beautiful example of how to work a color gradient into a garment. The crescent shape of this shawl, despite being shallower than a traditional triangular one, is very amenable to a gradual color face, neck to tip. Coupled with the interesting texture, the overall effect is quite stunning, especially given the relative simplicity of the garment. A link to a free pattern is at the end of the post.